The Chinese bamboo is an amazing tree , it's seed stays underground for 5 years without germinating but when it does, it grows 50feet in 1 week.What is important is not how long it delays but how fast it grows.Don't give up on your dreams on Africa no matter how long it stays underground. It's a matter of time, you need the staying power. The Chinese bamboo seed lies underground waiting for the right time to shoot out. Africa once dubbed the black continent is starting emitting light arrays. No situation is permanent. Africa needs the citizens to focus on future generations. Who is going to stand up and say I am ready to rebuild Africa?. Previously, Africa has been failing to realize economic growth, this was mainly caused by the in access to information by Africans who are supposed to effectively take part in their economies. Now an average African can access vital economic information through the increased use of technology in economic and business affairs. This has closed the gap between the African economies and the rest of the world.Ten years ago , it was almost impossible for an ordinary African to communicate with rest of the world. These ordinary citizens are now empowered and have become the drive of the economy, without a doubt such a massive economic participation by ordinary citizens is a guarantee of a massive economic turn around in Africa. His Excellence Paul Kagame, the President of Rwanda,once said," In Africa today, we recognize that trade and investments and not aid are major pillars of development." Ordinary Africans have for long been seen as people in need of donations, this was mainly because of passive economic participation. However, people in Africa are now active in economics, they are now entrepreneurs instead of charity cases, this therefore rightfully supports and explains what Kagame meant when he said the above. The way to go is to believe in our capability strategies of economic growth.Before laying the foundation ,first key to unlock is to believe. The Group Chief Executive ,Old Mutual Julian Roberts said ," We wouldn't be investing as much in the rest of Africa , If we didn't believe . Africa is going to be success story in the next few decades. "It's true Africa will face economic difficulties here and there , but like every other economy in the world it will recover and still grow." I have investments in 21 countries and despite the dwindling commodity prices and all the concerns being raised by the world my investment in Africa have not be dwindled", said Tony Elumelu, Chairman of Heirs Holdings. You can create a generational legacy by being part of Africa during it's economic turn around . 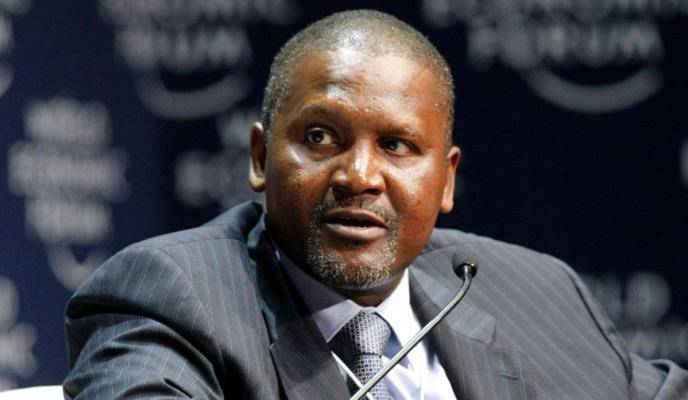 Aliko Dangote, President and CEO, Dangote Group and Co-Chair of the World Economic Forum On Africa vowed that," Africa is the fastest- growing economic region in the world.This is the right place to invest." Be part of this movement, invest in Africa and be part of it's emerging legacy.